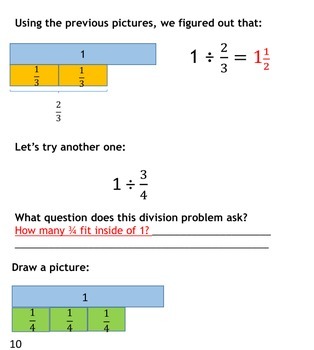 Looking for a way to help your students better understand the division of fractions? Then this product is exactly what you need! 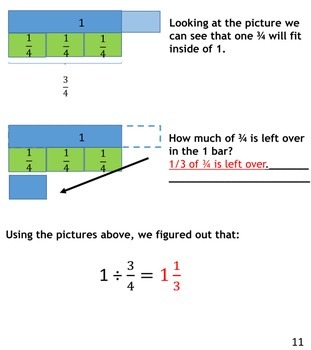 Using pictures and diagrams, this product teaches students how to conceptually divide fractions before using procedure. I recommend using this product as guided notes but it can definitely be used for an entire lesson or a resource for a lesson. Included in the download is a complete teacher's guide and a student version of the guided notes. 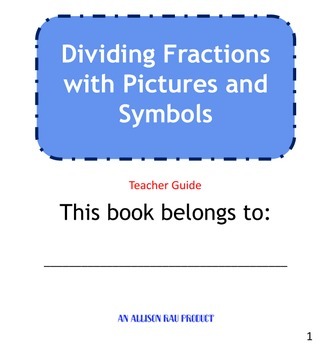 The teachers guide includes the pictures that the students will draw in their own notes to determine the quotient. This product can be used for students who are just learning to divide fractions and for students who have already learned dividing fractions but need a deeper understanding.